Today is a very exciting day for several of my fanatical Buffy friends. 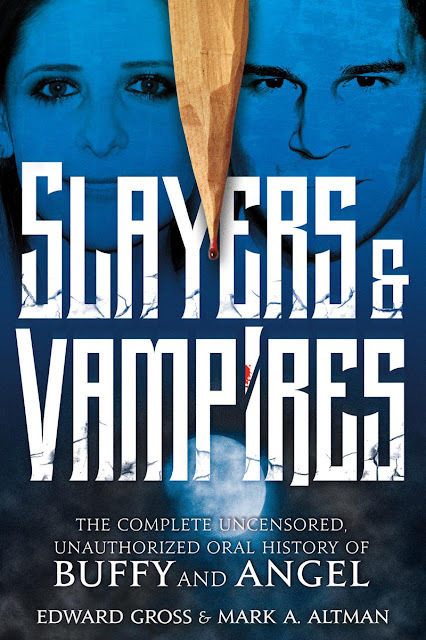 Slayers & Vampires came out today - a behind-the-scenes oral history of the "Buffy the Vampire Slayer" and "Angel" TV shows. Slayers & Vampires is available as a hardback, as a Kindle ebook, as an audio CD and an audiobook. You can read reviews of the book at Hypable.com, Vice.com and at Kirkus Reviews.